We’re delighted to tell you about a new website created by Stephen Creasey, the great grandson of H G Creasey, the founder of H G Creasey & Sons. 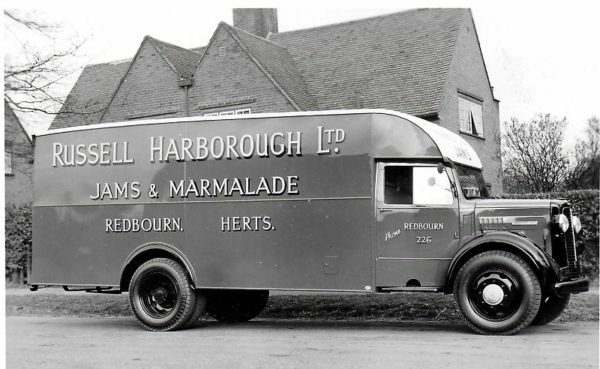 They were well-known commercial vehicle body builders, based in Knebworth, Hertfordshire. You can access it at http://www.hgcreasey.co.uk. The Company was founded in 1908 and continued under H G Creasy’s son Gaylor Creasey, his brother Ronald (Ron) Creasey and their sister Constance (Connie). Most vehicles built by the company were photographed; this is an archive of those photographs that survive. There are hundreds, so Stephen is still adding more. If you are able to recognise any of the vehicles, and their date of manufacture, please add comments to the website, and Stephen will update the information accordingly. We have added this new website to our Sources section under Sources & Links on our menu at the top of our home page (look for Creaseys Motor Bodies) – so you can access it at any time, even after this News item has expired.